GLENN DAVGIN. PIERMONT BICYCLE CONNECTION. Your looking at a new Blackburn Mars 3.0 rear / tail light. Blackburn Countdown 1600 HeadLight Front Bike. Condition is New. Shipped with USPS Parcel Select Ground. No tools required. Press lens to turn on, cyle through modes, and turn off. White light front, red rear. Runs on 2 CR2032 batteries (included). Lightly used and fully functional. Includes 1 white front light and 1 rear red light. Blackburn Super Bright Rear Light. One click to be seen. Rechargeable front and rear bicycle lights. 60 lumens front, 20 lumens rear. 70hrs steady / 130hrs flash. IP-65 Waterproof. Two CR2032 coin cell batteries are included and are super easy to replace. Versatile silicone mounting system. The light is in excellent lightly used condition. It has a clip on the back to attach to clothing or most seat bags. I will answer all very quickly. Item Condition: 3.5 out of 5. Mount: universal silicone strap. Local Pickup. Silicone strap / bracket / mount for BlackBurn Central 7053783 and Local 7053788, 7053785. bike bicycle cycle MTB. Trending at $11.16eBay determines this price through a machine learned model of the product's sale prices within the last 90 days. Your looking at a new Blackburn Mars 1.0 rear / tail light. 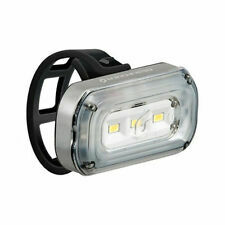 It features four super bright optically enhances LEDs. Blackburn Local 75 Light. Blackburn Local 75 Front HeadLight. Clear silicone side bezel amplifies side visibility on all sides. Position Front. Plastic injection body. Light Type LED. Primary Color Black. Uncomfortably full, sauce stain on your shirt, and the Blackburn Central 100 Headlight guiding you from BBQ to bed. Press the lens button to turn it on. Press lens to turn on. We serve as an outlet for the cycling and outdoor community to turn over their no longer needed gear. We believe in gear, and the rush it gives us. We are gear junkies. There, we said it. New Blackburn Scorch Front Light. Easily mounts to any handlebar. Maximum beam visibility. Adjustable beam direction. View All Products. View Our Products. Superbright LED's behind transparent reflective lense. Blackburn Voyager & Mars Click Front/Rear Bicycle Lights Red Free Shipping! • Press lens to turn on. 5 out of 5 stars - Blackburn Voyager & Mars Click Front/Rear Bicycle Lights Red Free Shipping! 1 product rating1 product ratings - Blackburn Voyager & Mars Click Front/Rear Bicycle Lights Red Free Shipping! Blackburn 2'Fer Light Set. Blackburn 2'Fer Front & Rear Light Set. Includes Front Headlight & Rear Taillight. Charging cable included, no tools required. Waterproof to IP-65 standard. Bracket Rubber strap. There's dark, and then there's dark. Plus the varying shades of night in between. The Blackburn Central Smart front Light lets you ride through it all, auto adjusting its focused beam for the conditions you are experiencing right now. Blackburn 2'Fer HeadLight. 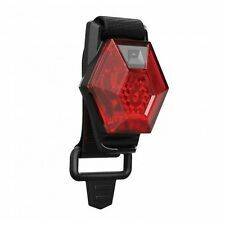 Blackburn 2'Fer Front or Rear Light is a single Light adjustable for front or rear. 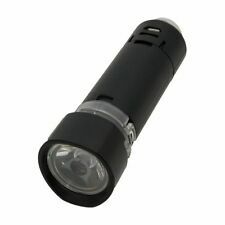 2'Fer Light are Waterproof to IP-65 standard. Position Front or Rear. UPC: 768686656743. VENDOR ITEM # 7064519. Blackburn Countdown 1600 HeadLight. Position Front. UPC: 768686055133. VENDOR ITEM # 7085211. Blackburn Front or Rear Cycle Light. Green = > 75%, Orange = 75-25%, Red = <25%. • 78 grams. Push button to switch between a white front light and a red rear light. Holding the button for 2 seconds turns the light on and off, and pushing the button once changes modes between white solid, red solid, white flashing and red flashing. Super bright LEDs, behind transparent reflective lens. 50 hrs Flash. This is a used Blackburn light for your bicycle, tricycle, motorscooter, or anything with handlebars. It clamps right onto the handlebars. Works great. Make me an offer. You will receive the item in the picture. Brand new in original sealed packaging. Blackburn 2'Fer XL Lights Can be used for Front or Rear. Position Front or Rear. Light Type LED. Primary Color Black. 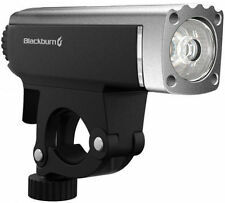 New Blackburn Local Combo Bicycle Head and Tail light Combo set. Illumination lasts for 70 hours in Steady mode and 140 hours in Flash mode. 2 super-bright LEDs emit dazzling red light. Press lens to turn the light on. Includes two CR2032 batteries.